If you’re looking for one of our more popular models like the AWD Honda CR-V or deciding between a Honda coupe vs. sedan, you’ll find exactly what you’re looking for at Muller Honda Pre-Owned in Highland Park. View our Certified Pre-Owned Honda inventory below! What Does Honda Certified Pre-Owned Offer You? This 2015 Honda Fit EX-L w/Navi is Honda Certified vehicle which includes 7 years/100,000 mile Warranty. CARFAX 1 owner and buyback guarantee. All the right ingredients! . There is no better time than now to buy this marvelous Vehicle!! . Reconditioning and Certification Fee included in our advertised prices. Call Us at (847) 831-4100 to Set an Appointment for yout Test Drive. This Vehicle is located at our Certified Pre-Owned Center on 150 Skokie Valley Road. This 2016 Honda Civic EX is Honda Certified vehicle which includes 7 years/100,000 mile Warranty. CARFAX 1 owner and buyback guarantee!! All Around champ!! . Drive this tried-and-trued Vehicle home today. . Reconditioning and Certification Fee included in our advertised prices. Call Us at (847) 831-4100 to Set an Appointment for yout Test Drive. This Vehicle is located at our Certified Pre-Owned Center on 150 Skokie Valley Road. This 2016 Honda Civic LX is Honda Certified vehicle which includes 7 years/100,000 mile Warranty. CARFAX 1 owner and buyback guarantee. ATTENTION! . This amazing Vehicle would look so much better out doing all the stuff you need it to, instead of sitting here unutilized on our lot!! . Reconditioning and Certification Fee included in our advertised prices. Call Us at (847) 831-4100 to Set an Appointment for yout Test Drive. This Vehicle is located at our Certified Pre-Owned Center on 150 Skokie Valley Road. This 2016 Honda Civic LX is Honda Certified vehicle which includes 7 years/100,000 mile Warranty. CARFAX 1 owner and buyback guarantee.. Barrels of fun!! . You've been longing for that one-time deal, and I think I've hit the nail on the head with this fabulous Civic! . Reconditioning and Certification Fee included in our advertised prices. Call Us at (847) 831-4100 to Set an Appointment for yout Test Drive. This Vehicle is located at our Certified Pre-Owned Center on 150 Skokie Valley Road. This 2016 Honda Accord LX is Honda Certified vehicle which includes 7 years/100,000 mile Warranty. CARFAX 1 owner and buyback guarantee! Big grins! . Honda has outdone itself with this great Vehicle!! . Reconditioning and Certification Fee included in our advertised prices. Call Us at (847) 831-4100 to Set an Appointment for yout Test Drive. This Vehicle is located at our Certified Pre-Owned Center on 150 Skokie Valley Road. This 2015 Honda Accord Sport is Honda Certified vehicle which includes 7 years/100,000 mile Warranty. CARFAX 1 owner and buyback guarantee* Fun and sporty!! . Honda FEVER*** . Reconditioning and Certification Fee included in our advertised prices. Call Us at (847) 831-4100 to Set an Appointment for yout Test Drive. This Vehicle is located at our Certified Pre-Owned Center on 150 Skokie Valley Road. This 2016 Honda Accord Sport is Honda Certified vehicle which includes 7 years/100,000 mile Warranty. CARFAX 1 owner and buyback guarantee** Big grins! . This super Vehicle is the spacious Sedan you've been searching for!! . Reconditioning and Certification Fee included in our advertised prices. Call Us at (847) 831-4100 to Set an Appointment for yout Test Drive. This Vehicle is located at our Certified Pre-Owned Center on 150 Skokie Valley Road. This 2016 Honda CR-V SE AWD is Honda Certified vehicle which includes 7 years/100,000 mile Warranty. CARFAX 1 owner and buyback guarantee* Hey!! Look right here!!! . Isn't it time for a Honda?* . Reconditioning and Certification Fee included in our advertised prices. Call Us at (847) 831-4100 to Set an Appointment for yout Test Drive. This Vehicle is located at our Certified Pre-Owned Center on 150 Skokie Valley Road. This 2016 Honda Civic LX is Honda Certified vehicle which includes 7 years/100,000 mile Warranty. CARFAX 1 owner and buyback guarantee! Spotless!!! . Where are you going to stumble upon a nicer Vehicle at this price? Nowhere, because we've already looked to make sure!! . Reconditioning and Certification Fee included in our advertised prices. Call Us at (847) 831-4100 to Set an Appointment for yout Test Drive. This Vehicle is located at our Certified Pre-Owned Center on 150 Skokie Valley Road. This 2017 Honda Civic EX is Honda Certified vehicle which includes 7 years/100,000 mile Warranty. CARFAX 1 owner and buyback guarantee... ATTENTION!!! . Do you want it all? Well, with this spacious Sedan, you are going to get it** . Reconditioning and Certification Fee included in our advertised prices. Call Us at (847) 831-4100 to Set an Appointment for yout Test Drive. This Vehicle is located at our Certified Pre-Owned Center on 150 Skokie Valley Road. This 2016 Honda Accord LX is Honda Certified vehicle which includes 7 years/100,000 mile Warranty. CARFAX 1 owner and buyback guarantee!! All Around champ!!! . Set down the mouse because this sweet 2016 Honda Accord LX is the Sedan you've been looking for! . Reconditioning and Certification Fee included in our advertised prices. Call Us at (847) 831-4100 to Set an Appointment for yout Test Drive. This Vehicle is located at our Certified Pre-Owned Center on 150 Skokie Valley Road. This 2016 Honda CR-V SE AWD is Honda Certified vehicle which includes 7 years/100,000 mile Warranty. CARFAX 1 owner and buyback guarantee! Classy!! . Isn't it time for a Honda?.. . Reconditioning and Certification Fee included in our advertised prices. Call Us at (847) 831-4100 to Set an Appointment for yout Test Drive. This Vehicle is located at our Certified Pre-Owned Center on 150 Skokie Valley Road. This 2015 Honda CR-V EX AWD is Honda Certified vehicle which includes 7 years/100,000 mile Warranty. All Around champ!! . How amazing is this extensive EX!! . Reconditioning and Certification Fee included in our advertised prices. Call Us at (847) 831-4100 to Set an Appointment for yout Test Drive. This Vehicle is located at our Certified Pre-Owned Center on 150 Skokie Valley Road. This is a Civic EX White Orchid Pearl. Muller Honda Offers: Free Lifetime Service Loaner, 1st Free Oil Change, Free Car Wash with Service and lot more. Call us at (847) 831-4200 for more information on this vehicle. We're very competitive on the Pricing so let us know what we need to do. You will not be disappointed. This 2017 Honda Civic EX is Honda Certified vehicle which includes 7 years/100,000 mile Warranty. CARFAX 1 owner and buyback guarantee!! Fun and sporty! . It does everything so well, except be lazy! . Reconditioning and Certification Fee included in our advertised prices. Call Us at (847) 831-4100 to Set an Appointment for yout Test Drive. This Vehicle is located at our Certified Pre-Owned Center on 150 Skokie Valley Road. This 2016 Honda Civic EX-L is Honda Certified vehicle which includes 7 years/100,000 mile Warranty. CARFAX 1 owner and buyback guarantee. Barrels of fun!! . No trip is too far, nor will it be too boring... . Reconditioning and Certification Fee included in our advertised prices. Call Us at (847) 831-4100 to Set an Appointment for yout Test Drive. This Vehicle is located at our Certified Pre-Owned Center on 150 Skokie Valley Road. This 2016 Honda Accord Sport is Honda Certified vehicle which includes 7 years/100,000 mile Warranty. CARFAX 1 owner and buyback guarantee** Classy! . How outstanding is this terrific-looking Vehicle* . Reconditioning and Certification Fee included in our advertised prices. Call Us at (847) 831-4100 to Set an Appointment for yout Test Drive. This Vehicle is located at our Certified Pre-Owned Center on 150 Skokie Valley Road. This 2016 Honda CR-V EX AWD is Honda Certified vehicle which includes 7 years/100,000 mile Warranty. CARFAX 1 owner and buyback guarantee** Look!! Look!! Look! . Want to stretch your purchasing power? Well take a look at this impeccable 2016 Honda CR-V EX... . Reconditioning and Certification Fee included in our advertised prices. Call Us at (847) 831-4100 to Set an Appointment for yout Test Drive. This Vehicle is located at our Certified Pre-Owned Center on 150 Skokie Valley Road. This 2016 Honda Accord EX-L is Honda Certified vehicle which includes 7 years/100,000 mile Warranty. CARFAX 1 owner and buyback guarantee!!! This car sparkles!! . Want to stretch your purchasing power? Well take a look at this outstanding Sedan. . Reconditioning and Certification Fee included in our advertised prices. Call Us at (847) 831-4100 to Set an Appointment for yout Test Drive. This Vehicle is located at our Certified Pre-Owned Center on 150 Skokie Valley Road. 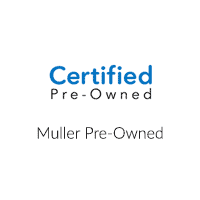 Buy Certified From Muller Honda Pre-Owned! Our experienced team at Muller Honda Pre-Owned treats customer service seriously. We’re always going above and beyond. We’ll make sure we find you the perfect vehicle to take home to Gurnee. Visit us today near Chicago, or contact us with any questions and we’ll get you on the road in no time!